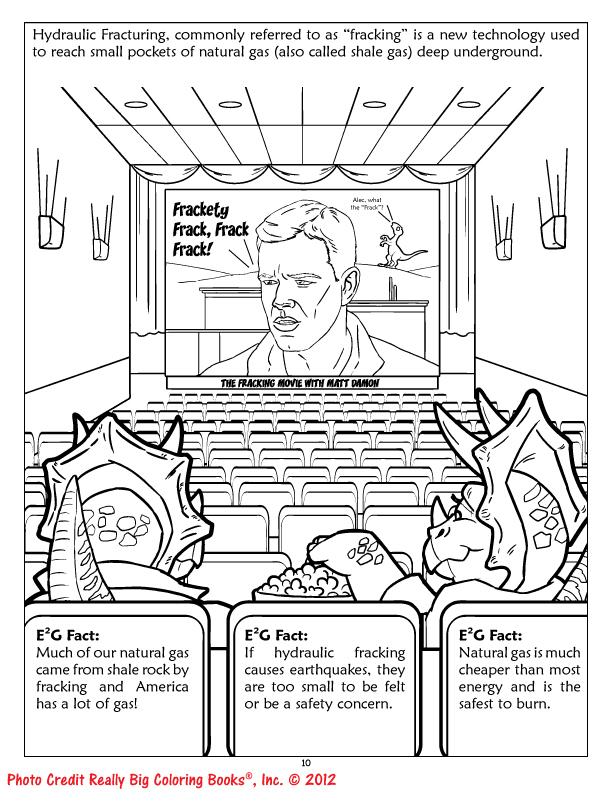 Call to Action: Energy Corporations of the U.S. Help Educate Youth with the Fun, Exciting Everything Energy: An American Energy Independence Coloring and Activity Book. 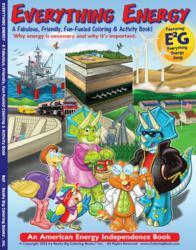 Really Big Coloring Books, Inc. (ColoringBook.com) releases: Everything Energy: An educational event activity book designed to teach children and parents about energy: why it's necessary and why it's important. 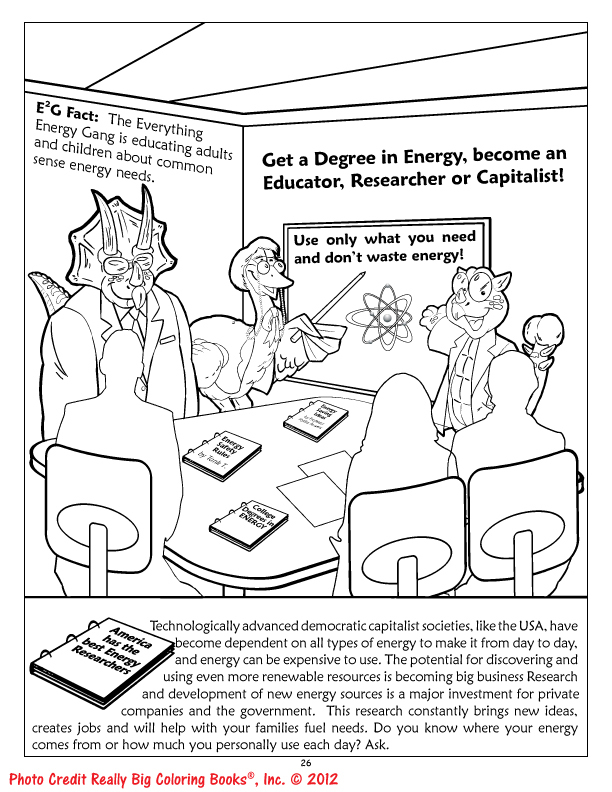 Educate with the Everything Energy Gang and become a part of the new, Grassroots Energy Generation. American energy equals success! Everything Energy: An American Energy Independence Book. Educating children in and out of the classroom the Everything Energy Gang will help empower our lives and get people thinking about a Real American Energy Plan, Wayne Bell, Publisher. This new edition takes a bold and fresh look on the subject of energy for kids and parents. 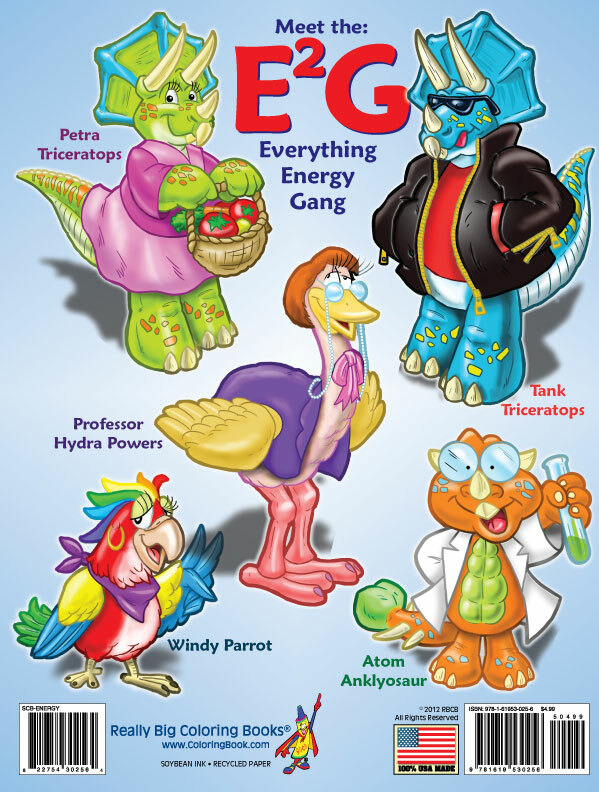 Through the characters of the "Energy Gang", we help children and adults learn more about the global picture of energy and why it is vital to the success of all people.Really Big Coloring Books, Inc. (RBCB) one of the leading producers of children's coloring and activity books, has released "Everything Energy": A Fabulous, Friendly, Fun-Fueled Coloring & Activity Book designed to help parents continue the education of their children in understanding why energy is necessary and why it's important. Educating children in and out of the classroom, RBCB brings an authenticity to children's coloring books that will help children of all ages grasp the fundamentals of adult subjects through honest education. 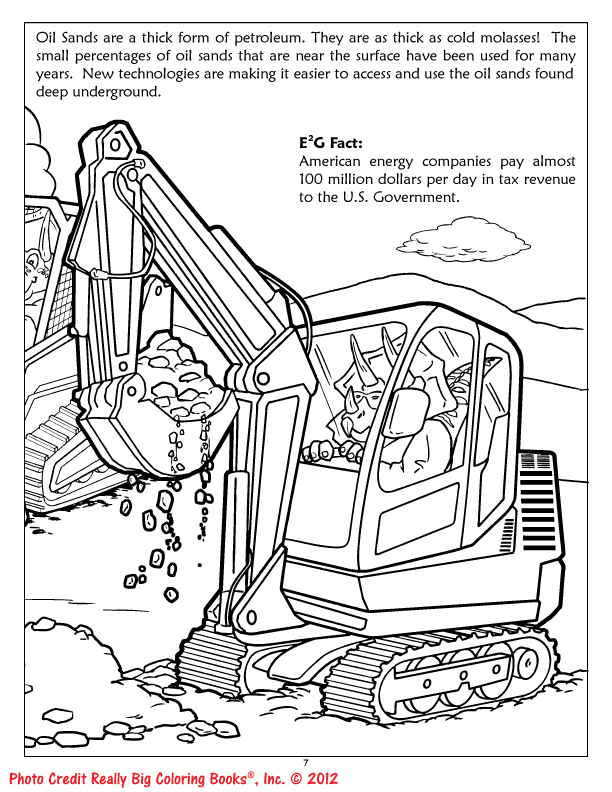 The Energy Gang featured in the Fabulous, Friendly, Fun-Fueled Coloring & Activity Book will investigate why children in the USA deserve a real American Energy Plan and how US owned energy companies are vital to the success of all people. It is never too early to educate, teach or explain why America powers the world and how our success is vital to everybody's future. Designed and detailed with explanations from those who know, RBCB engaged the energy workers, energy companies, owners' and employees and even governments that have an interest in the success of energy. 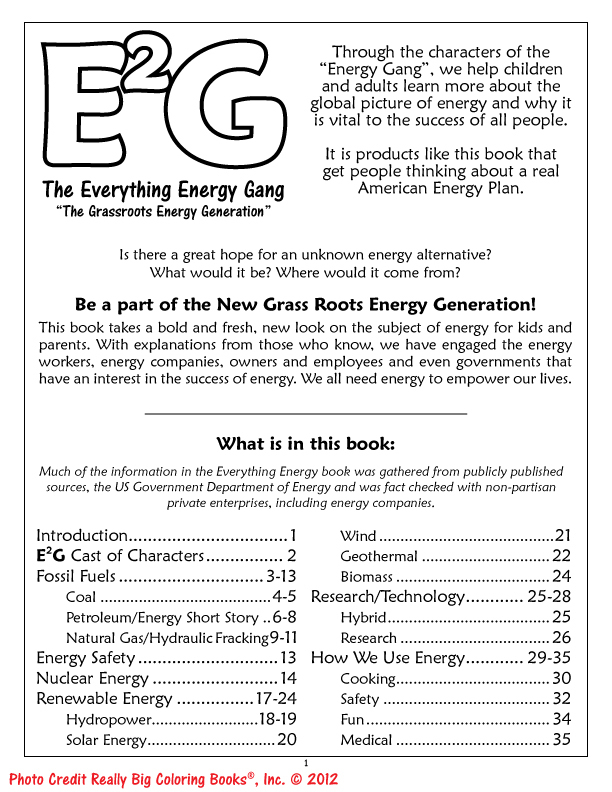 The new 36 page high quality book reflects modern energy concerns and will help directly engage children of all ages, and adults, into the grassroots energy movement with the Everything Energy Gang. The book covers all aspects of energy including stories of biomass, coal, fracking, geothermal, hybrids, hydropower, natural gas and more. 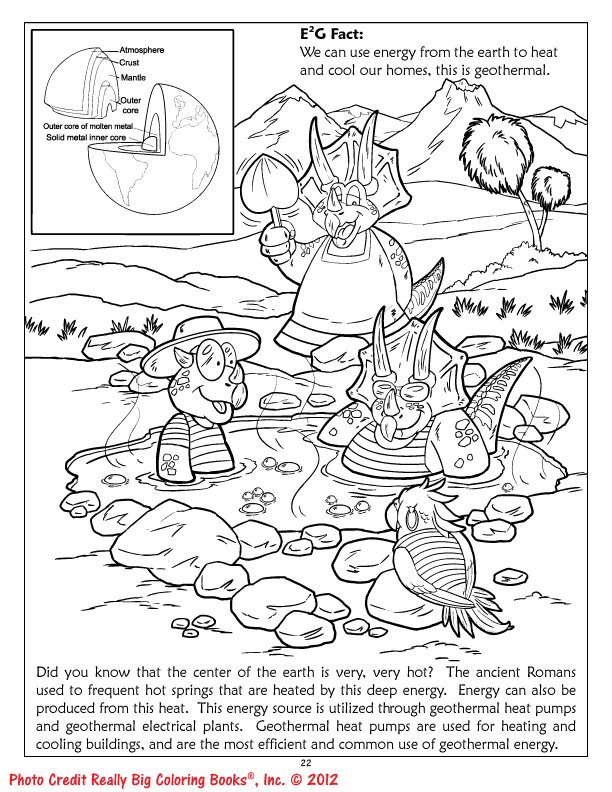 These cultural event coloring books are manufactured with the readers and end users in mind. Retailing at $4.99-$6.99 the book is available today at http://www.Coloringbook.com and at major book sellers such as Amazon.com, Abe Book and Barnes and Noble. Really Big Coloring Books, Inc.®, headquartered in St. Louis, MO, is a multi-national company providing children's coloring books and teaching and learning tools for over two decades to the retail, educational and fundraising communities. Known for their market leading positions, RBCB’s family of products are classic, colorful, unique and designed for children and adults. The company owns and operates more "coloring book" domain names than any company in the English speaking world. 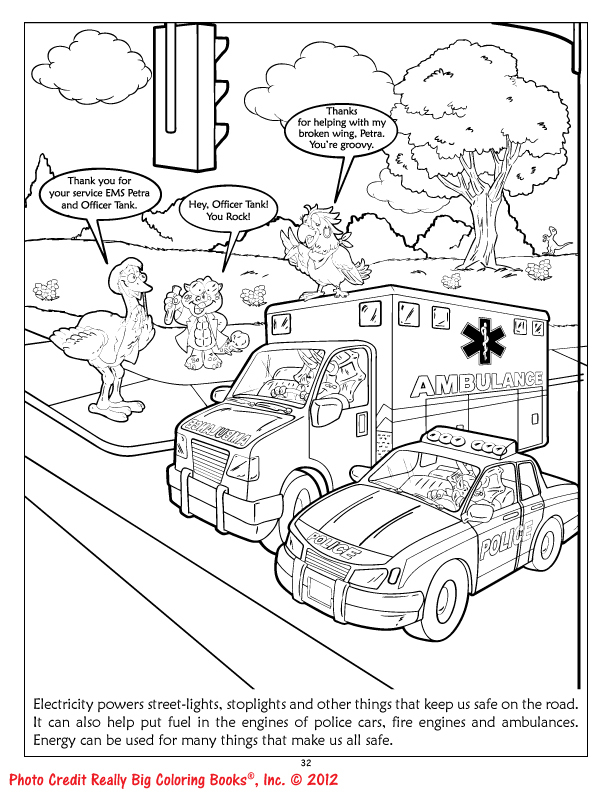 When it comes to custom coloring and activity books look for http://www.ColoringBook.com. For more information call 1-800-244-2665.